Films about filmmaking fascinate me. The lengths that a director would go to to create his magnum opus, especially the personal sacrifices and giving up one’s character, just for the sake of art. Where does the film we’re watching end and the film that is attempting to be made start? Or is it the other way around? 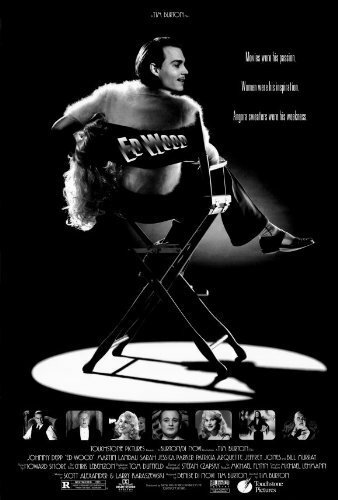 To appreciate “Ed Wood,” one must also be aware of the cult classic director, Edward D. Wood Jr. From the 1950s through the 1970s, Wood wrote, produced, directed and even starred in dozens of his B-movies, all of which were made on a shoestring budget, shot in just a few days, had poor production quality and even worse acting. 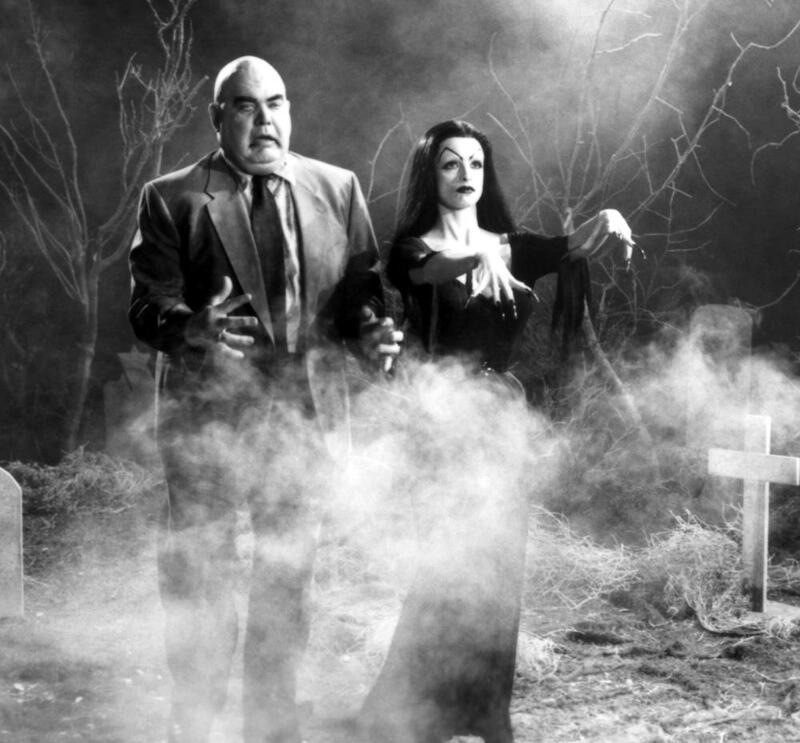 Wood is known for many films, several of which would end up on “Mystery Science Theater 3000,” but the movie that everyone remembers him for is “Plan 9 From Outer Space,” which is often put in the category of the worst films ever made. Ed Wood is called one of the worst filmmakers of all time, his films ranging from laughably awful to painful and irritating. From the unnatural and stiff acting of everyone in his film, to the low production quality that really makes it look like everything was done as fast as possible. There are very few good things to say about an Ed Wood film. So how is it that a film about Ed Wood’s career could be any good? Well, for many reasons, but the key is to make Mr. Wood a delightfully charming and optimistic persona and show the absolute joy he gets out of making a film. The film chronicles Edward D. Wood Jr. (Johnny Depp) as he attempts to make it big in Hollywood. We watch as he makes three of his most infamous films, “Glen Or Glenda,” “Bride Of The Monster,” and “Plan 9 From Outer Space,” and all the trials and tribulations he must endure along the way. He also takes this time to befriend an aging and drug-addicted Bela Lugosi (Martin Landau), who ends up starring in these films. Johnny Depp as Ed Wood is a delight to watch, as he embodies both passion and optimism. His passion is making movies in his own way. Always trying to bring in the ideas and movies that he wants to see, like a man realizing that he is a woman on the inside or grave robbers from outer space. So what if the sets and costumes get messed up along the way? Who cares about a little thing like that? It is not apart of the big picture, so there is no need to focus on that. As long as the audience can grasp the story and relate to heart pounding drama, that is all that matters. Even during the filming of these movies, the camera will focus on Ed to show him mouthing the lines of dialogue. Just to show how he is utterly in love with his own creation. He’d probably want to star as every major character if he could, but that wouldn’t look good on camera. But the crowning moment comes early in the film when Ed goes to his usual hook-up for copious amounts of stock footage, and he gets his hands on a new reel with random assortments of footage, including buffalos stampeding, explosions, a large octopus and the military preparing for combat. On the spot, he comes up with an elaborate plot for a film that could combine these random images into one film. 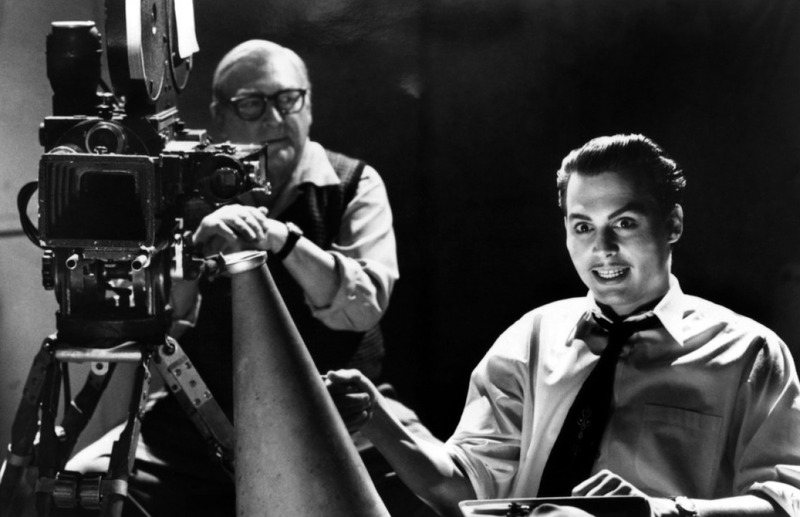 There is no doubt about it – Ed Wood loves to make movies. It’s just that all of them are terrible. Which brings me to his other great trait – his eternal optimism. We see this early on, as he reads reviews of his recent theatre performance, which is of course a negative one, but Ed only reads off the good things it had to say, in particular the costumes. When he faces difficulties in the filmmaking process, like forgetting the motor to work a giant octopus’ tentacles, he just has Bela Lugosi flail the arms around. All while having the biggest smile on his face, as if he has just recorded the greatest piece of film that the world has ever seen. I don’t think Ed ever had anything negative to say during the film, always choosing to stay positive and understand that he is bringing his visions to life and gets to share them with the rest of the world. How could he not be positive about that? But, once again, this brings up the point that his “visions” sucked. Not in his eyes. Ed, like so many artists, knew going in that there was always a chance that his work could fail. But that doesn’t stop him from pursuing what he loves. Ed Wood is not in the film business for the money or the fame, he does it because he simply loves making movies. Even if it turns out nobody enjoyed it, that was not the reason he did it to begin with. Ed Wood does not necessarily live in his own little world, like Jordan Belfort from “The Wolf Of Wall Street,” he just lives to reach his own goals and does what he loves, no matter what other people think of him. Because filmmaking is his life and his love. He loved every second that he was on set and was never mean or cynical about it. Even if obstacles got in his way, Ed would shrug them off and find another way to finish his film. That was show business and he had to make the best of it. That type of character and emotion is such a delight to watch that it makes “Ed Wood” contagious and makes me want to be an artist in my own way. “Ed Wood” serves as a reminder to all artist that you have to enjoy what you do and not pursue art for all the wrong reasons. That you will face tough challenges and there is a good chance that others will not like your work, but you have to do it for yourself. Because you’re in love with art and want to make your visions a reality. 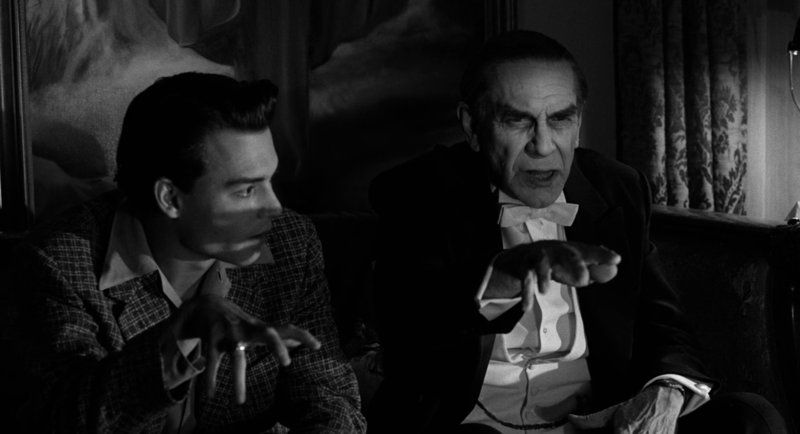 With great performances by Johnny Depp and Martin Landau as an incredibly convincing Bela Lugosi, the actor who played the original Dracula, consistently funny, and the film still manages to poke fun at the ridiculous nature of Ed Wood’s cheap and insanely fast work. 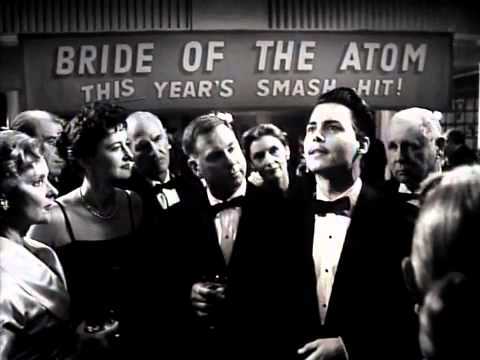 “Ed Wood” serves as a love letter to 1950s filmmaking, and to the king of bad movies. Thank you for reminding me about this great wee movie. I remember going to see it because I had seen some of Ed Wood’s movies. I expected it to be a bit sad and wistful, a movie about failure and pathetic ambitions but what I found was an upbeat movie about the fun, the joy of creativity – and finding it thoroughly entertaining. Depp has rarely been better. This is the degree of kook he should have maintained. And Landau is incredible as Lugosi. His is a very nuanced and touching performance. Now you’ve reminded me about this gem, I must seek it out and revisit it.